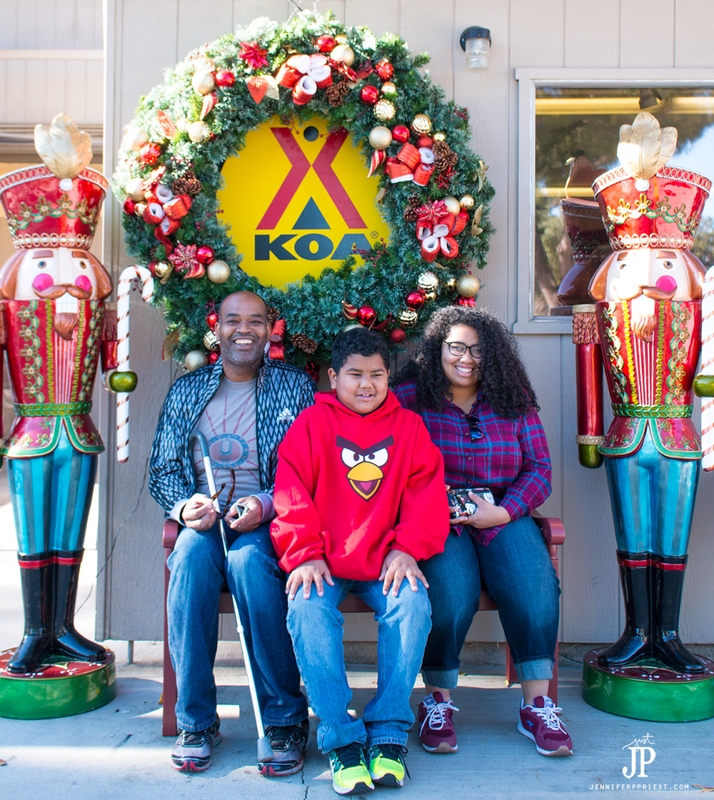 This post is sponsored by the San Diego Metro KOA. Opinions are 100% my own. This Christmas we didn't leaving town to visit family. And all of our local extended family are off doing their own trips so it's just the four of us for the holidays! Have you ever been in this situation? While I totally love my family, it can be kind of a bummer to sit at home and do the same thing we do every regular day of the year: eat dinner, watch a movie or TV, and maybe play a game. 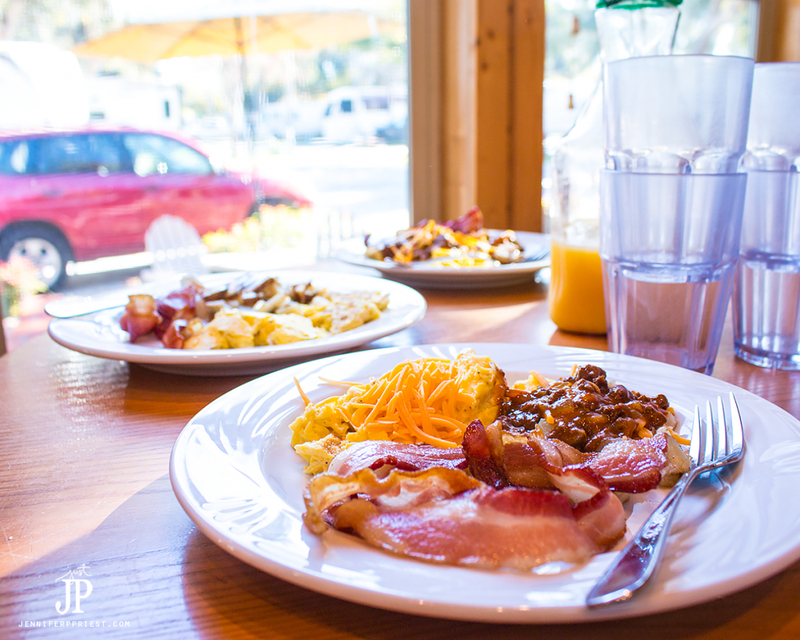 If you're at home or alone for the holidays, why not plan your own local adventure? Here's how to make your “only us holiday” amazing by planning a glamping trip. Locally! We booked a deluxe cabin down in San Diego for our glamping trip. To be honest, it is pretty chilly overnight in the winter when camping near ;the beach, even here in California, because the ocean is cold, so naturally, the air blowing in with it is cold. I've been camping in a tent in the winter time in California and it's not an experience I need to have again. Ha! When I first heard about glamping, I thought it would be really expensive and only offer fancy tents in the wilderness. But I was actually really surprised when I started looking at the options and prices on GlampingHub. Yeah, there's a whole website dedicated to the glamping experience, booking your trip, and even giving the experience of glamping as a gift! 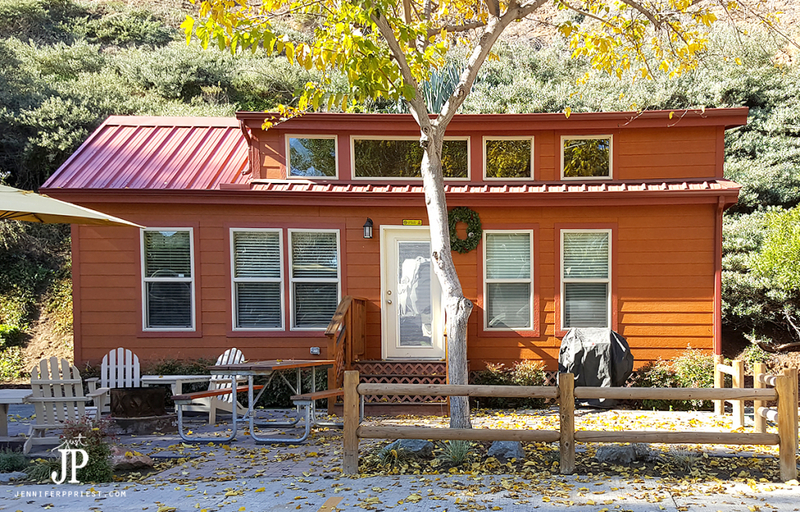 The deluxe cabin that we booked at The San Diego KOA via GlampingHub had two bedrooms and a loft area so everyone had their own space. The kitchen was perfect for cooking breakfast and we used the gas grill on the front courtyard to grill steaks and hot dogs for dinner. 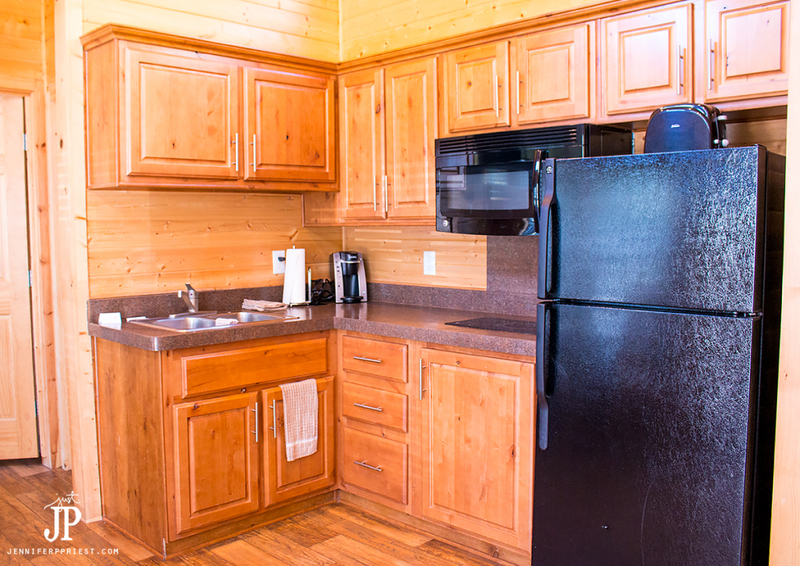 Rather than share a communal bathroom like most campsites, this deluxe cabin had it's own bathroom. 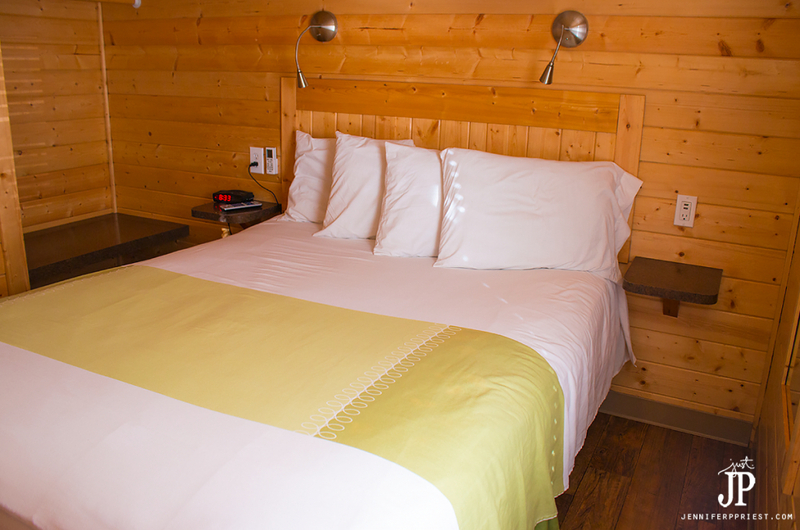 It's easy to book a glamping trip using GlampingHub. We justbrowsed the options for the locations we wanted to travel to locally, within about a 4 hour for the purposes of this holiday trip. Ten, we narrowed them down by date and by the types of glamping available. 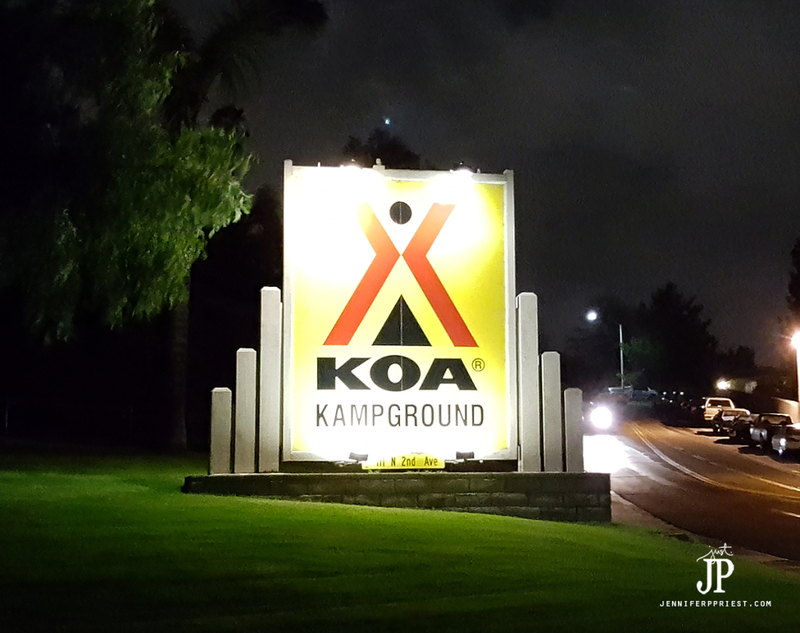 I loved that we could get a mountain feel with the cabin at The San Diego KOA but we were close enough to visit all the amenities of the city without any mountain roads. 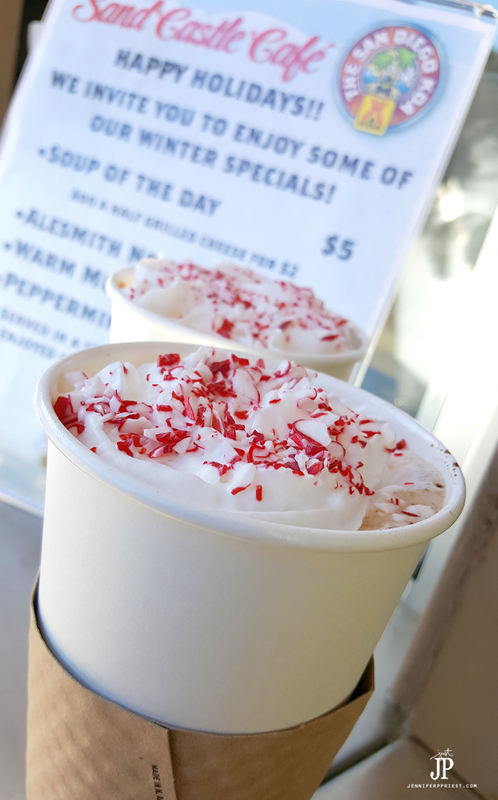 The San Diego KOA's on-site The Sand Castle Cafe served up yummy, festive peppermint mochas. And on one of the weekends in December, they had Santa Claus at the park for pictures! 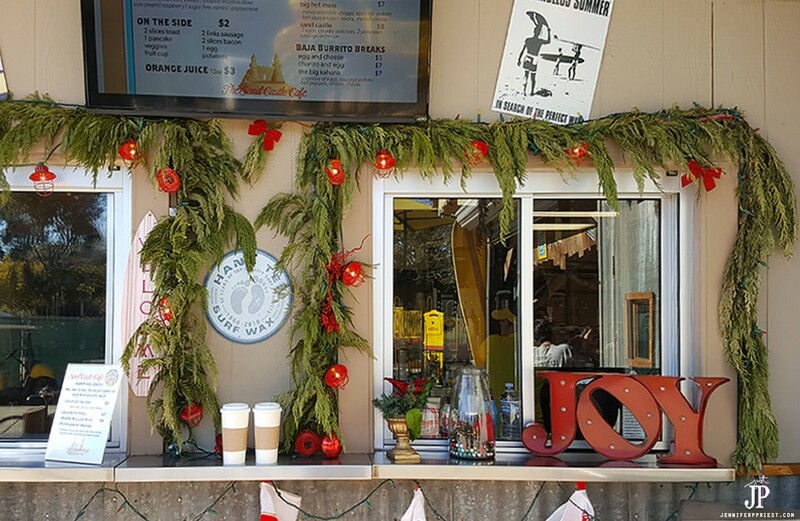 Check with your campground to find out about holiday festivities planned on-site. 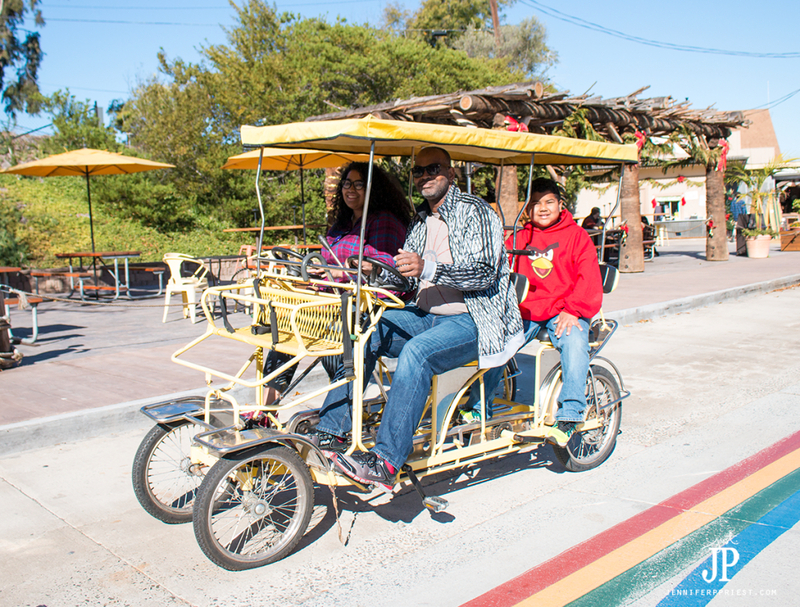 And the whole family loved the rentable bicycles on site. Xaver and I both have knee injuries and you can ride the 4 person cart with only two people pedaling, so that was awesome! This particular KOA is adding on an entire new pool area, under construction right now. The pool was open for use but we were just too busy sight-seeing to use it on this trip. 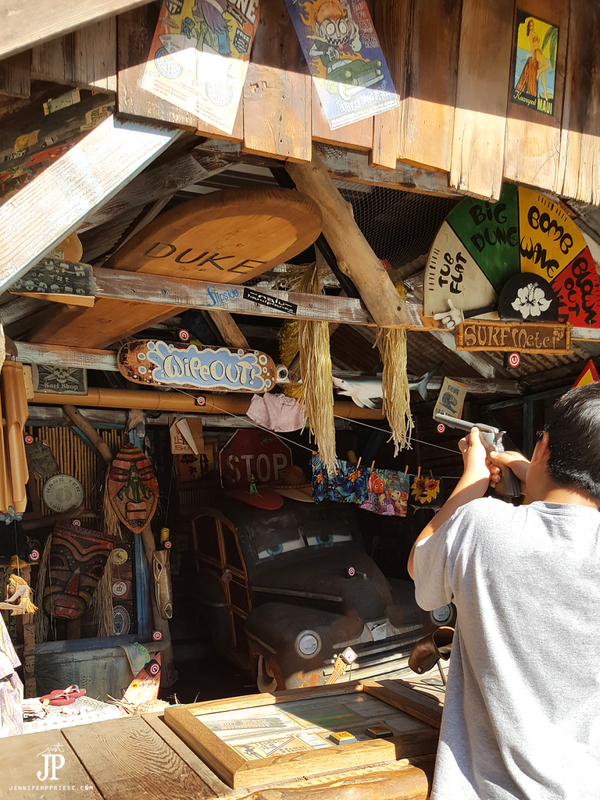 Get started with a simple google search to find out more about which attractions are available in the area of the campsite. 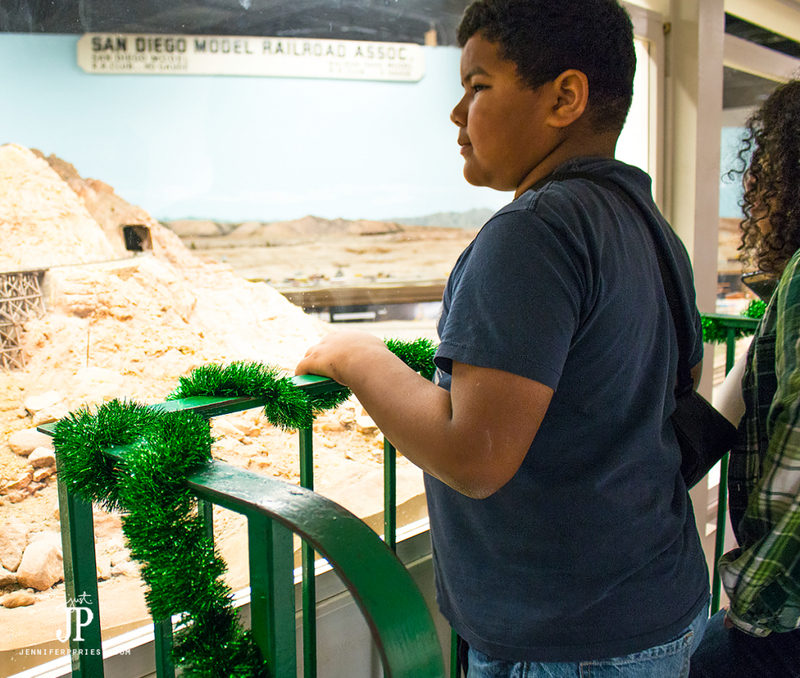 We simple searched “San Diego Holiday Activities” and found some great lists. Also, the website for the campground might offer a list of local activities they provide and that are available outside camp. Seriously, I just googled “best holiday lights San Diego” to find a list of holiday light shows. 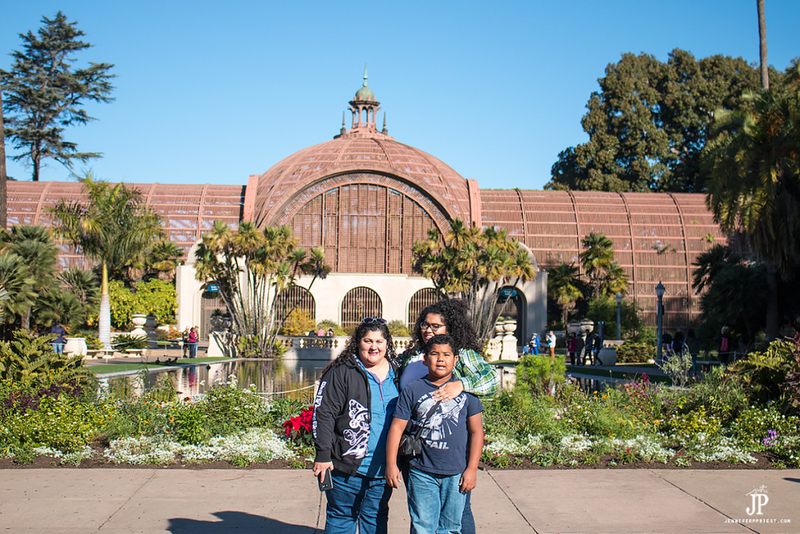 We love looking at holiday lights but we'd never drive the 2 hours to San Diego to do it on our own. We tried to see the Christmas light, about 3 miles from the campsite, but the traffic and lines were more than we bargained for. The city itself is all lit up for the holidays. 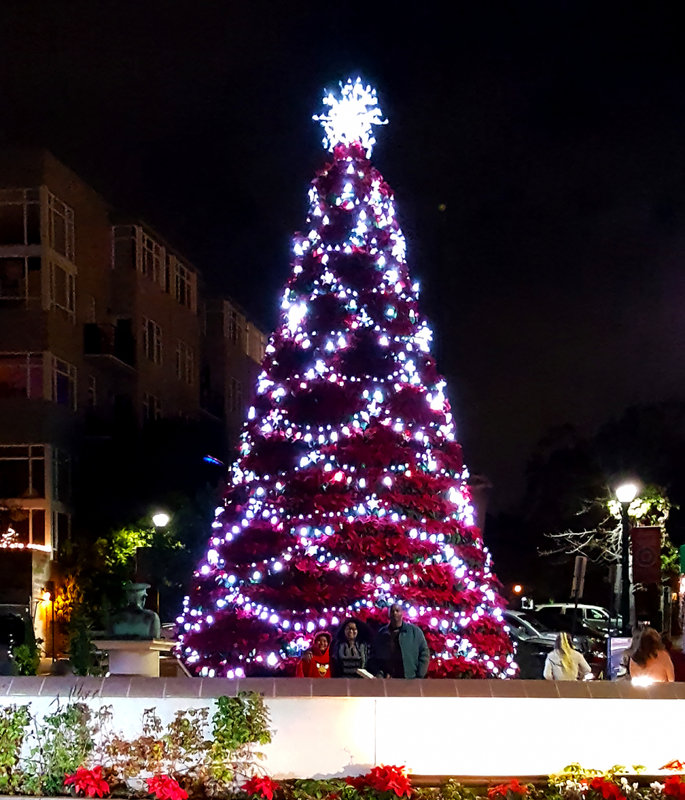 Little Italy is covered in lights, with snowflakes projected onto the buildings and streets, culminating in this giant twinkling tree of poinsettias. We got there after 7pm, missing much of the dinner rush and traffic. 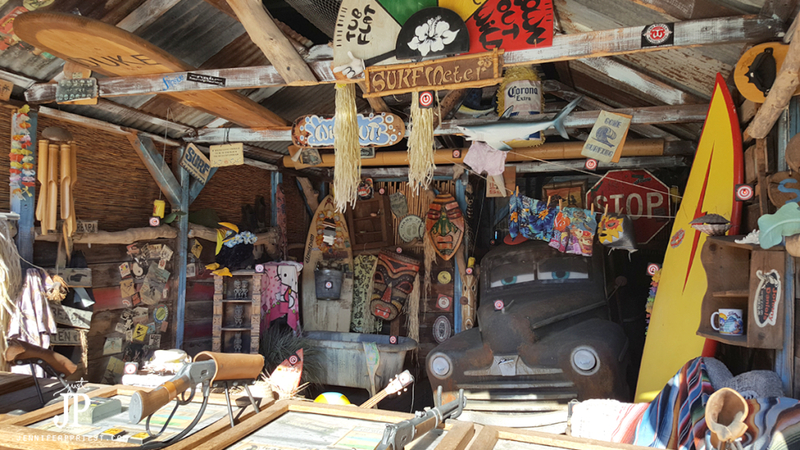 While I was chatting with the server at The Sand Castle Cafe, she told me about the holiday boat show in San Diego harbor. Be sure to ask the staff about holiday festivities that only the locals know about. Always ask the locals about the events they like to attend because they have all the insider knowledge! Check out the tourist website for the city if they have one. 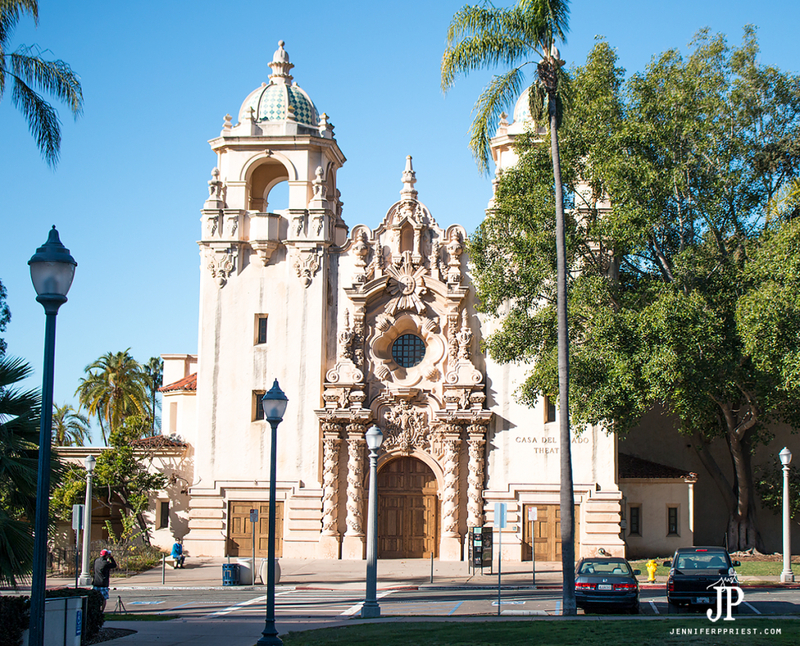 SanDiego.org has loads of ideas of places to visit within and around the city, such as Balboa Park. 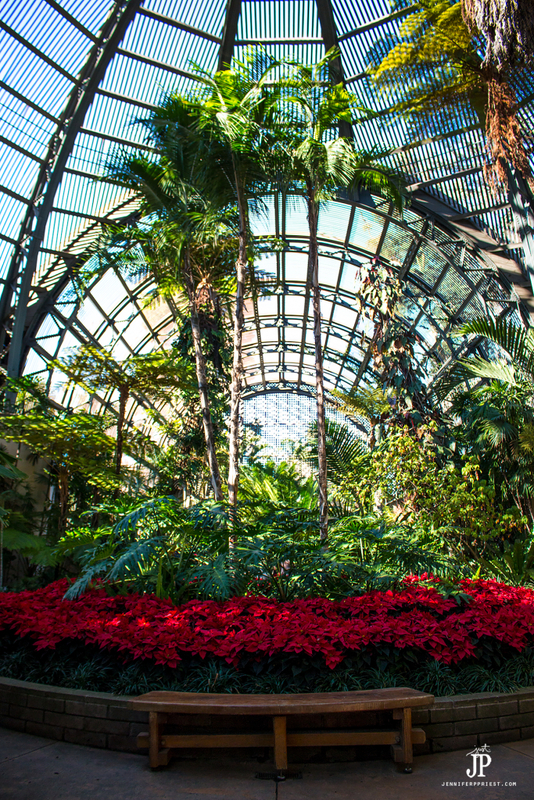 Some attractions, like the Botanical Building, are free to visit and have holiday themed displays. The Botanical Building had a gorgeous poinsettia display during our visit! 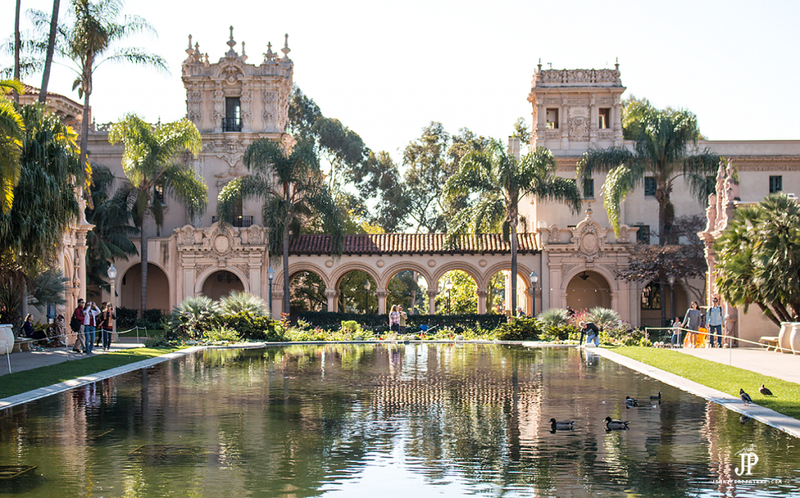 You can also walk the grounds and admire Balboa Park's architecture, ponds, and gardens for free. 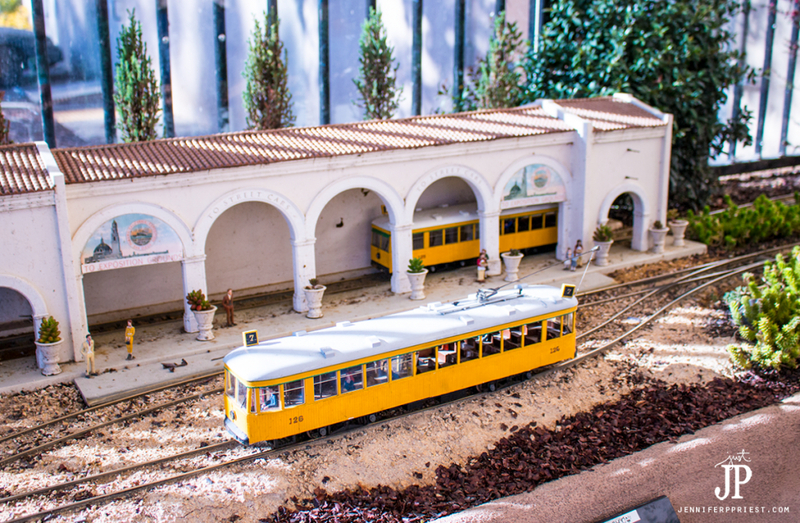 One of our favorite places in Balboa Park is the Model Train Museum. Admission for our family of four, with veterans and student discounts, was about $25. 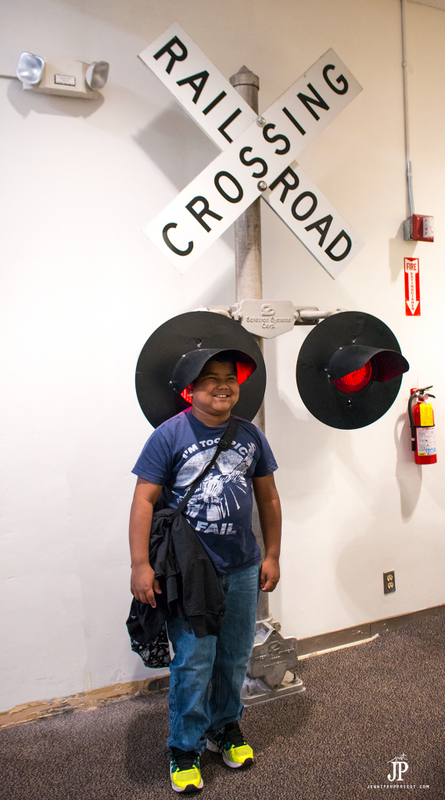 It's the only place we paid for an admission and it is so worth it. 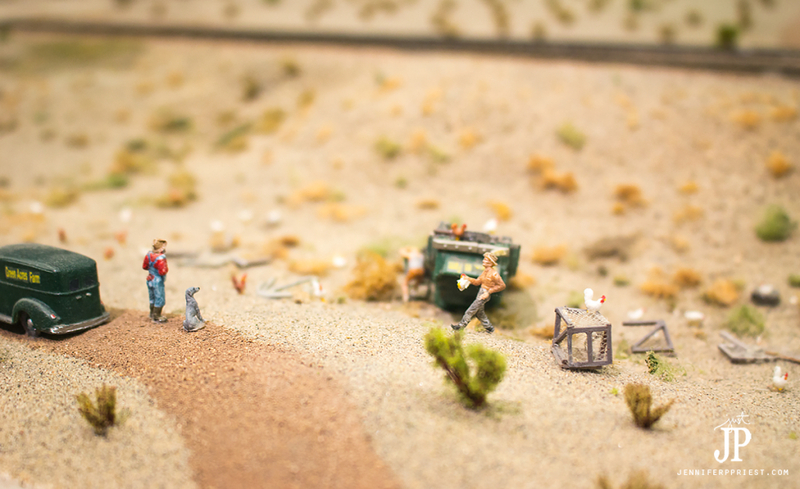 This scene of a crashed truck with loose chickens and a coyote chasing the chickens totally made my chuckle. You can spend days in this museum and not see everything. 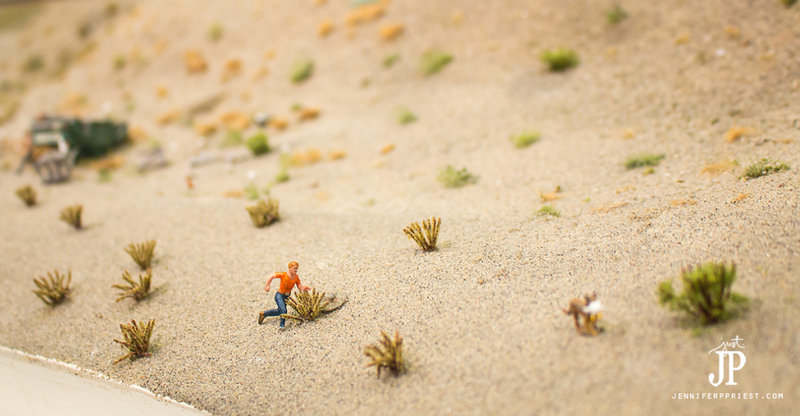 Where there's a campground, there are usually lots of outdoor activities to enjoy. 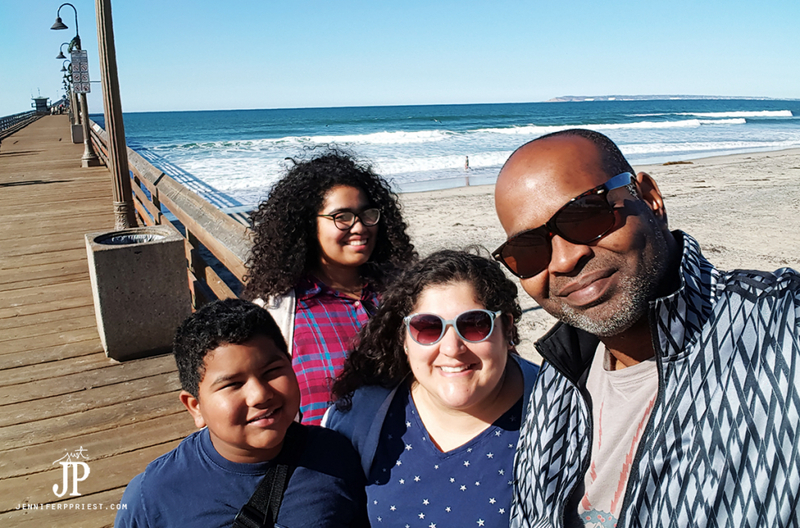 We decided to spend our last day, after checkout, hanging at the beach in San Diego. 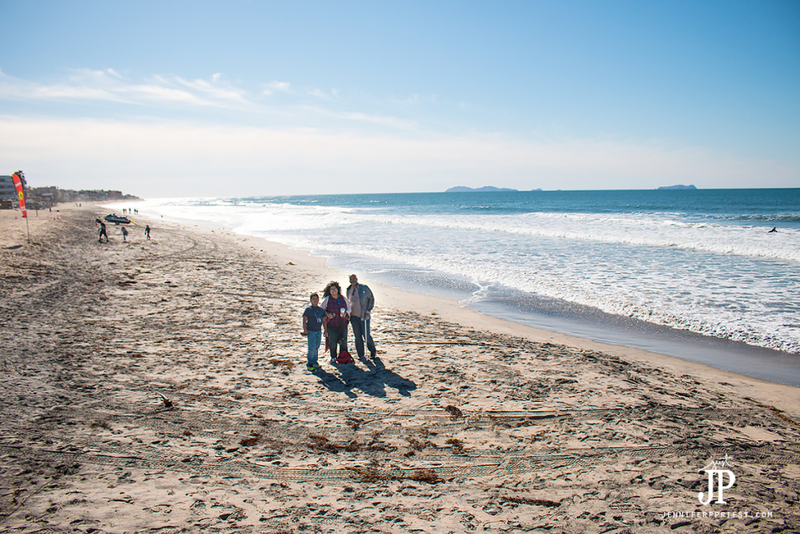 Look online or ask the locals about which beaches they prefer in the area. 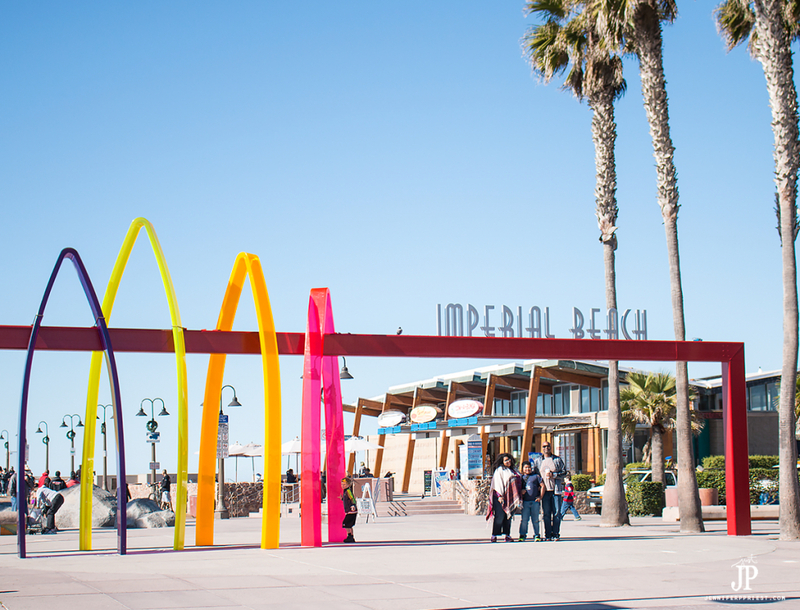 We like Imperial Beach because it has a pier and is easy to reach but there are lots of San Diego beaches with all kinds of amenities and terrain. Even if it's cold, you can enjoy the outdoors! We stopped at the campground's cafe and got lattes before leaving for this trip. Even when traveling, you can bring Christmas morning on the trip with you! 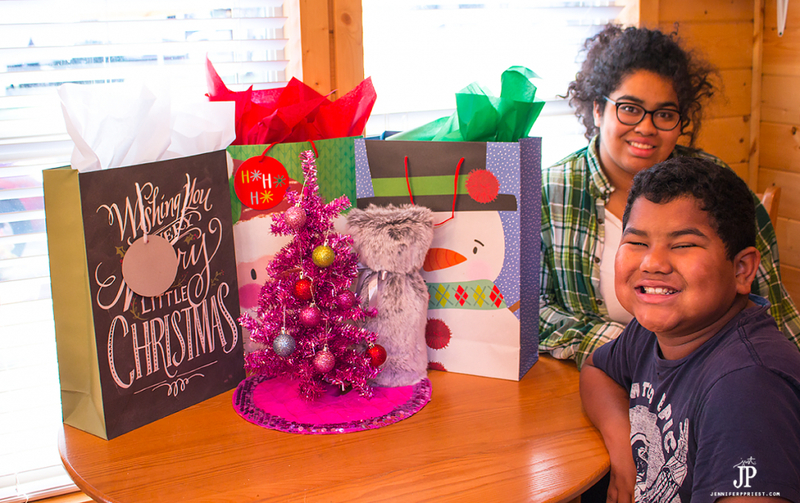 We packed a small Christmas tree and brought our presents to to give to each other, setting it all up right in our cabin. 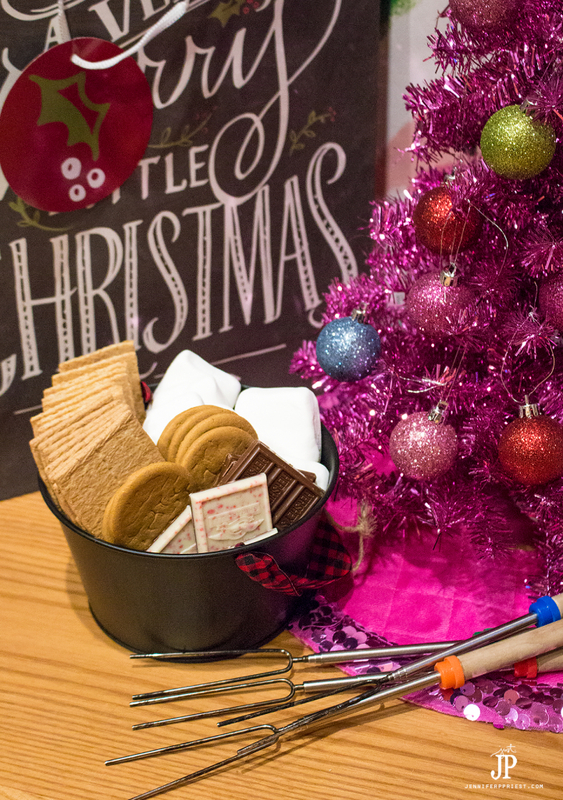 At night, we made holiday s'mores with Ghiradelli Chocolate Squares with Peppermint Bark for the chocolate, gingersnaps, and square marshmallows. We also had traditinal s'mores ingredients like graham crackers and Hershey's chocolate bars. The campground offered fire wood in the camp shop and we were ready to go! This cabin had the fire ring, a picnic table, gas grill and lots of chairs for outdoor entertaining. It was perfect for making holiday s'mores! You can totally bring the flavors of the season camping with you! 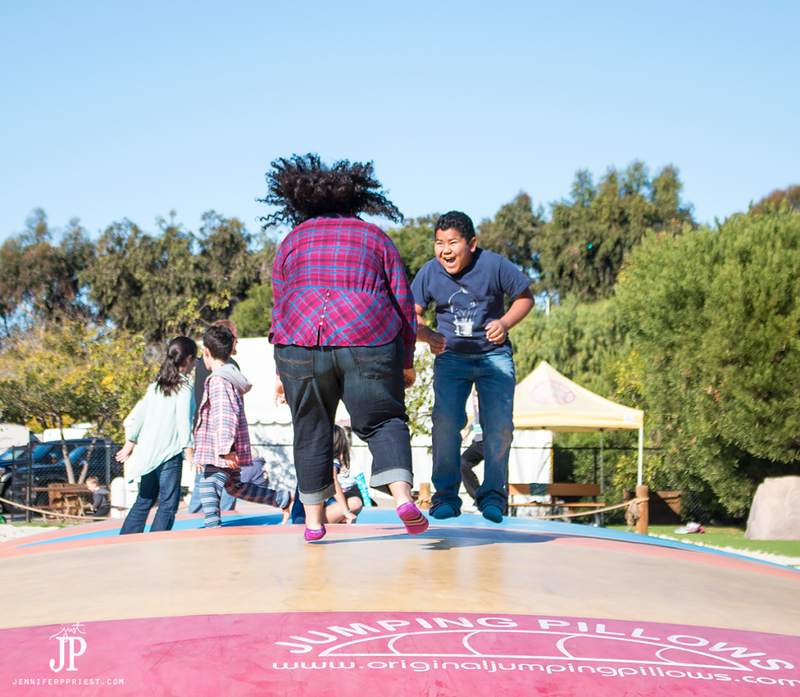 We had a great time making new memories on this holiday glamping trip. My eyes were really opened about the glamping experience and we had so much fun! Where would you go fora glamping adventure? Let me know in the comments! Family New Year’s Eve Party – Snapchat Party Theme!